Bharti Airtel on Thursday said GIC, formerly known as Government of Singapore Investment Corporation, has committed to subscribing to the company’s rights issue of Rs 25,000 crore. This is expected to reduce its leverage and strengthen the balance sheet amid fierce competition. The promoter group of Bharti Airtel, including the Bharti group and Singtel, would subscribe to Rs 11,785.7 crore in the rights issue, one of the largest such exercise by an Indian company, while GIC will subscribe to Rs 5,000 crore by way of renouncement in their favour. GIC is a sovereign wealth fund established by the Government of Singapore in 1981 to manage Singapore's foreign reserves. Analysts feel it is the right move by Bharti Airtel to safeguard its rights issue in case it is undersubscribed or subscribed less than 90 per cent of the total value. In that case the promoters and external investors will fund the issue. 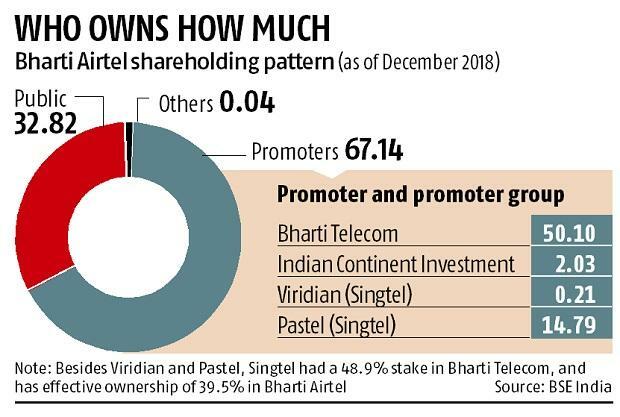 The promoters hold 67 per cent in Bharti Airtel and the issuance of shares under the rights issue would be in line with the shareholding. 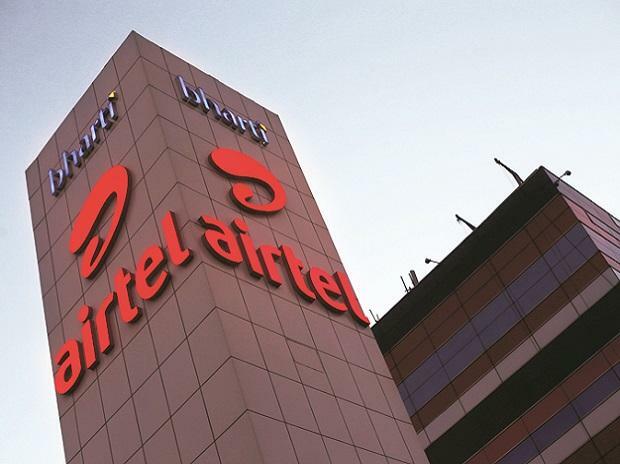 The promoter and promoter group reserves the right to subscribe either itself or through investors for additional shares in the issue, including in the event of undersubscription by public, in accordance with the applicable laws, Bharti Airtel said in a statement. “Singtel and Airtel’s major shareholders Bharti group and Bharti Telecom intend to subscribe to their full entitlement except for renunciation by Bharti Telecom in favour of GIC Singapore, which will commit approximately Rs 5,000 crore,” it in a statement. Singtel would subscribe to 170 million new shares in the rights issue at an issue price of Rs 220 a share. Together with Airtel’s major shareholders and GIC, a total of 67 per cent of the rights issue has been committed. “With the renunciation to GIC and upon closing of the rights issue, Singtel’s effective interest in Airtel will be 35.2 per cent and it will continue to be the single-largest shareholder in Bharti Airtel,” Singtel said. Bharti Airtel's Board has additionally provided an in-principle approval to raise up to Rs 7,000 crore through foreign currency perpetual bonds. The Board has thus approved plans to raise Rs 32,000 crore, of which Rs 25,000 crore would be by way of rights issue, and another Rs 7,000 crore through foreign currency perpetual bonds. The company is in the process of appointing banks to take this forward, the statement added. Experts feel that the company’s rights issue is in line with the strategy adopted by the other incumbent Vodafone-Idea to take on competition from Reliance Jio and Vodafone Idea. “Bharti Airtel has announced the rights issue to keep the financial uncertainty away and fund itself to take on competition for the next 2-2.5 years,” an expert said. Bharti Airtel, which has presence in 18 countries across Asia and Africa, said this would be the largest capital infusion plan involving a mix of Rights Issue and Perpetual Bond Issue to raise a total of up to Rs 32,000 crore. In January, Vodafone Idea finalised a rights issue to raise Rs 25,000 crore to help bolster countrywide 4G coverage and take on Bharti Airtel and Reliance Jio Infocomm. The Vodafone Idea board approved the offer and issue of fully paid up and/or partly paid up equity shares of the company and/or other securities convertible into equity shares, including but not limited to, compulsorily convertible debentures, for an amount aggregating Rs 25,000 crore by way of a rights issue. The promoters -- UK’s Vodafone Group and the Aditya Birla Group — will pump in up to Rs 11,000 crore and Rs 7,250 crore, respectively, as part of the rights issue.